Well another year is behind and another brand new year lays before us. As a sit here and reflect on the year gone by, I must admit it was pretty cool. There were some amazing things (actually a lot of amazing things) that took place that were really unforeseen going to the beginning of 2016. 2: Learning how to operate a “tablet”. I am not that tech savvy, so when my wife gave a tablet for our anniversary I did not know if I would ever figure it out. I can actually go to the library now and hook up to their free Wi-Fi which is really cool. 3: Participate in the “Tour for Kids”. Well sort of. 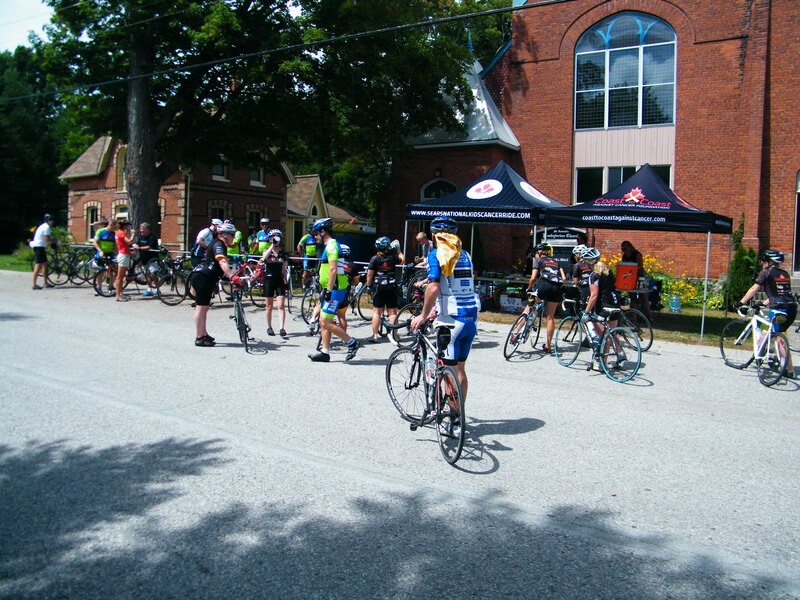 Not in the sense of being a cyclist participant, but having my church grounds being used as a rest stop/aid station. I absolutely loved talking to a few of the several hundred riders who stopped to get recharged. This was not a race so some riders stayed for quite some time. A blog post I wrote on this event can be found at Cycling For a Great Cause! 4: Meeting up with many, many new runners in 2016 was also a highlight. There is so much camaraderie among the running community and 2016 was an amazing year. There are so many faces that come to mind, but I will just list two. 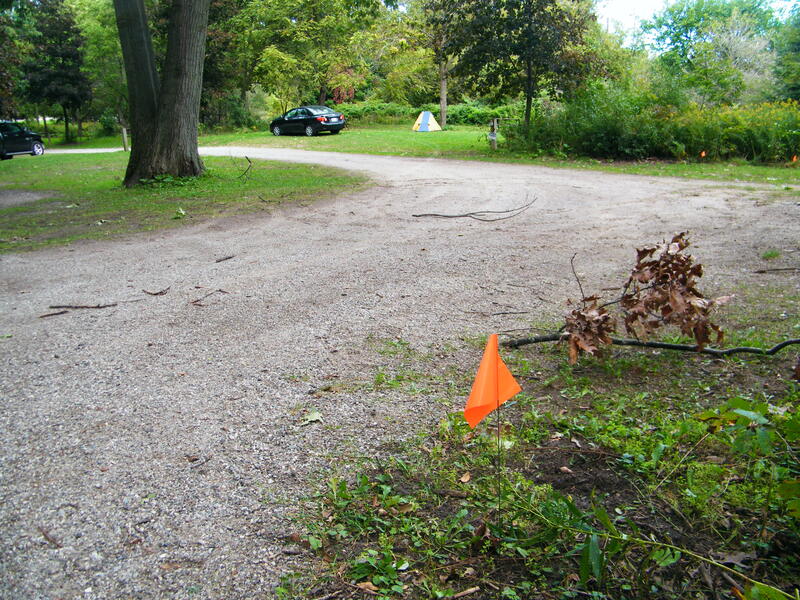 One is meeting up for a 10k run in the Midhurst area with Bill Steinburg. Bill is one of Canada’s top runners. He won the 50k Creemore Vertical Challenge for 20 minutes over the 2nd place finisher. He also was chosen as 1 of 6 runners to represent North and South America in the Asics Beat The Sun relay at Mt. Blanc France. I also enjoy meeting up with bloggers I have never met before and then running some or all of an event together. This year the person that ones to mind is Kristi from Blog for an Average Runner. We ran part of a 50k together which I wrote about in post Run for the Toad! Hanging out with Kristi and her husband Michael after the race. Still haven’t changed out of my running gear. My change of clothes was way up in my car in the campground. Picture from my latest post “Keeping track of Time” on my other blog called “My Sunday Blog”. 6: Writing a magazine article. Always amazed when opportunities show up out of the blue. This was in the form of a magazine article which I was asked to write. The magazine is a great local magazine issued bi-monthly with a print circulation of around 45,000 called Simcoe County Total Sports. The magazine had never featured an article on running and since we were going into the winter season I titled my article Winter Wonderland Running. You will have to go to page 8 for the article. Total Sports…the magazine in which I wrote the article for. 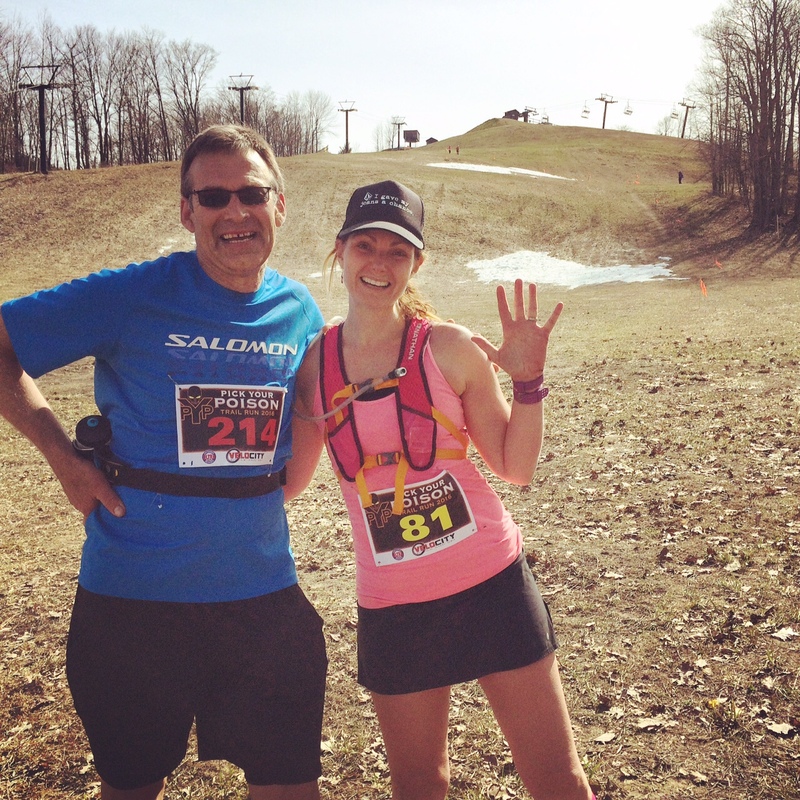 7: Running four 50k during 2016. 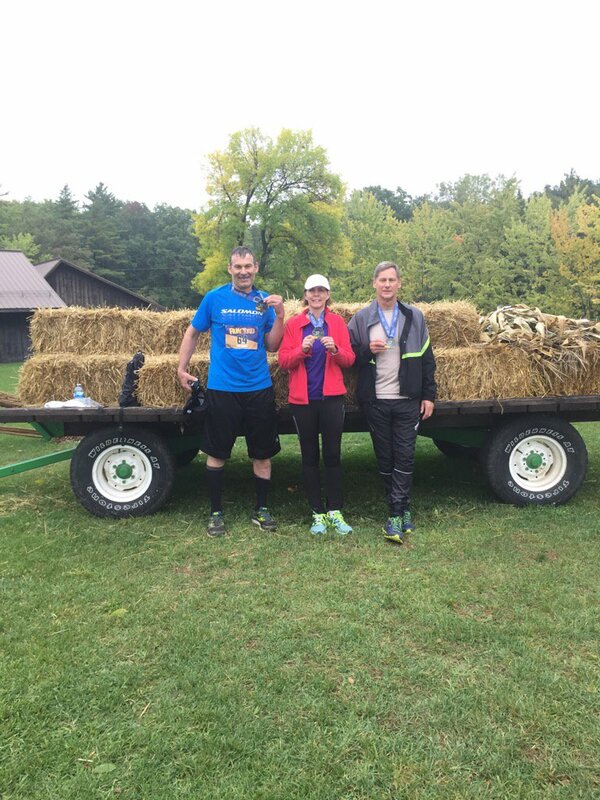 I am still a little shocked over that one as my 2016 goal was to run one 50k, the Creemore Vertical Challenge. In the spring I registered for a 25k, and was running with my niece Caron (who was doing the 50k) at a race called Pick Your Poison when I decided to run the 50k even though the most I had run in the previous 6 months was 15k. My race recap on that first 50k ultra can be found at “I’m Going to Miss You Uncle Carl“. 8: Trip to New Zealand. Probably the biggest unforeseen thing happen in 2016 was a three week vacation in New Zealand. A year ago I never had an inking this would ever happen. The time frame was centred around my daughter’s graduation from teacher’s college at the University of Christchurch. Boy we packed a lot of time into those three weeks. Have one blog article posted titled Called “Coming Full Circle In Life”, with about 5 or 6 more posts that are swimming in my head to come over the next several weeks. So appreciative to both my work and my church who both granted me an extended leave to make this trip possible. 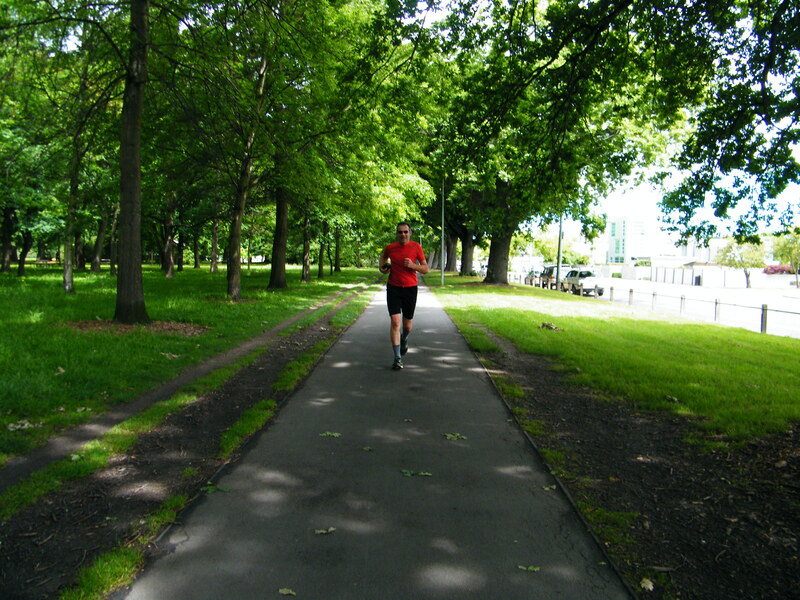 Running in Christchurch New Zealand just a few weeks ago. it was an amazing 3 weeks. 9: Down time between Christmas and New Year. After my arrival back in Canada from New Zealand I was exhausted. It was 35 hours from when I left Christchurch airport and home. And being Christmas season both airports and airplanes were packed. I did not have to return to work until January 2nd which was wonderful. And I set a new PB, not in running but in reading. This is the first time I have ever read two books in one week. I really enjoyed this down time. Well there you have it, another year done and a new year beginning. Thank you for all your support! Thank you so much for dropping in, reading and your very kind words. Yeah those 2 books were excellent reads. And both have that similarities of finding oneself in the wilderness. Makes me want to load up my backpack and do one of those through hikes such as the Appalachian. I would SOOO love to do something like that and would let you know if I get the opportunity. I have not read Blue Highways. Not sure if I have heard of it, but might just look it up. Happy new year, Carl! 2016 sounds like it was a truly amazing year for you (FOUR 50ks?!?!?!?). And I’m glad you got to New Zealand…it’s on my bucket list! Hope you have an even more amazing 2017…you deserve it! Hi Denise, so wonderful to have you drop by and share. I keep looking you up and Twitter to see if there is any new updates from you. Looks like you had a lot of changes yourself with the new website and it looks like your own business. Hope everything has gone smoothly for you. I was as shocked as anyone with those four 50k’s.. It is going to be tough this year to improve on that this year….haha. I wish you a happy new year and happy running ! Thank you very much, I appreciate this. Thanks Carl for linking to my site, very much appreciated. I loved the year end recap, it sounds like you’ve had quite a year! It’s neat isn’t it, to look back and count up all the special moments, which the busyness of life tends to prevent us from remembering and appreciate. You are most welcome Tricia. You are such a faithful supporter and I really appreciate it. I had those few days off and it was really beneficial to look back. Once I get back into my routine I will not have nearly the opportunity. Happy New Year. 2016 was great. Wishing you an even better 2017. Really enjoy reading your posts. Happy New Year! Please pray for America as we transition to another administration which I hope will treat people of all races and religions fairly. Thank you! Prayer is the most important think Debra-Ann. I appreciate the memory jog. Am praying! it was almost like a wonderful revision of the last one year of blogging and it felt like revisiting an old friend – and I hadn’t realized how much your running has picked up this year. That’s massive! And here I have been scared of even thinking of 15K! Whew… And oh! Please do tell me what you think of Into the Wild – I read his account of the Everest disaster (Into Thin Air) and loved his style as well as his thoughts! Thank you very much for featuring me 🙂 Being the top commentator, I feel so honored! 🙂 Looking forward to the coming year and your thoughts! Thank you so much Prajakta. I am still a little shocked about the running, the big think is pacing yourself. 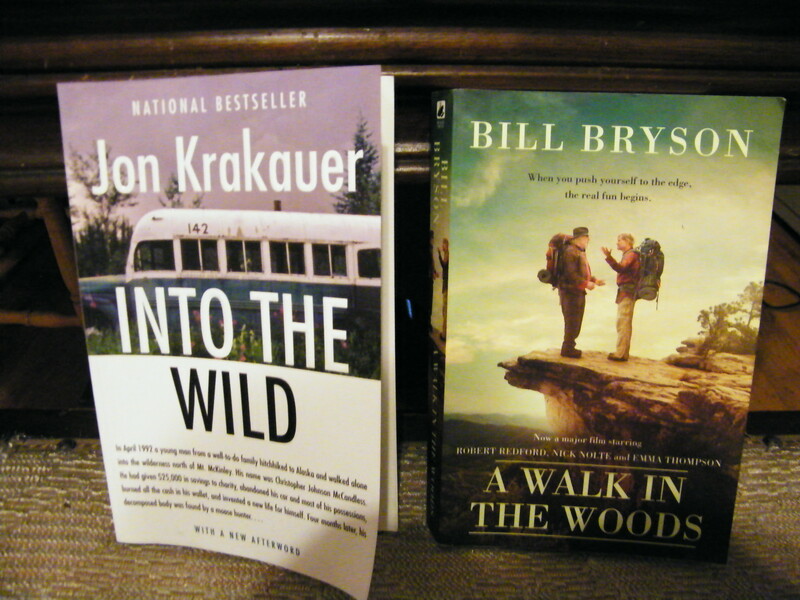 Yes….Yes Into the Wild was so well written I had trouble putting it down. Extremely well researched both in the background and how Chris McCandless. Jon Krakauer interviewed a lot who had connections with Chris McCandless when he was on the road. And very respectfully written for the family. Happy New Year Carl! What a year it has been for you! You certainly packed a lot in there! I can’t wait to read your posts into 2017. Your posts are always so genuine, I really enjoy that. Chat with you on your next post! Happy New Year, Carl! Here’s to even more good things in 2017! Mike and I really enjoyed meeting you this year at Runfor the Toad. I hope our paths cross again at a race this year. I”ll look forward to hearing what races you are going to do. It was a highlight for my Kristi to meet you and Mike at the Run For the Toad. The New Zealand trip set me back pretty much on the wallet, so I might be scaling back from the 4 Ultras. But we’ll see. Mind you last year I was only planning on running one 50k…lol. 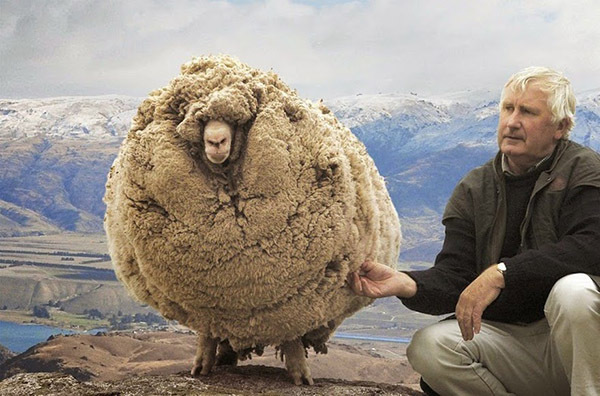 But of course I love your blog, Carl! And Happy New Year to you. That very last image, says what our Pastor says to us each and every Sunday since 1998. Yes. He is an amazing Pastor! I watched their now adult children grow up in church! Dr. Kevin Newton is also an ice-hockey playing, motorcycle riding and humorous man! Our previous pastor retired in 1998 after over 30 years–he founded our church. We are very lucky and definitely blessed as a congregation! His wife is amazing, too, she leads the worship. Great kids, too. They are truly walking their calling and we are all blessed because of them. NICE!!! So much good can be said about the wonderful Pastor’s wife out there and the tremendous support they lend to the ministry. Thank you for the shout out, I appreciate it! You beat me running any day. 4 x 50kms in one year! Spartan Beast was enough for me with just 21km. Just out of interest are you planning on running more ‘extreme’ distances this year, upping the 50km? I hope you’re snug with the work commute. I can’t imagine what -30C is like. I prefer a toasty 30C! My pleasure Natalie. I appreciate your support so much. You are one of those runners I would LOVE to run an event with. Reading your blogposts with your healthy active lifestyle I really think you are in better shape than myself. I KNOW you can do a 50k. I am pondering the 50 mile (80k) North Face race. The guy who won it last year (Phil Brunette) told me in the comments of his blog post that once you run 50k the jump is not that bad. We’ll see, 80k sounds SOOOO far…lol. The amazing thing is he ran that 80k faster than I ran the 50k. I have a heater in my newer car which is so wonderful. January is our coldest month and we hit -30 once or twice during this month.. It has been pretty mild but heading to -20C this weekend. Carl what a lovely surprise to find myself on your top commenters list! Thank you for the generous description of our blog. I am humbled by your kindness. It seems you had an extraordinary year capping it off with a fabulous trip. Wishing you the very best in 2017 and thanks again! You are so very welcome Sue. Thank you so much for your support. I really don’t know how you do it, as your comments are always so generous, and carefully thought out and articulated. And you share your kind encouraging words on so many blogs. That trip to New Zealand was really amazing. It definitely was a highlight. Thanks Carl. One of the things I like best about the blog is the connecting with people. Wonderful to hear you had such a great trip. Definitely on our list! Sounds like 2016 has prepped you for new adventures in 2017! Where to go from the highlights from 2016 though… new territory! Thanks so much Debbie. Always neat to have that fresh start with the new year. 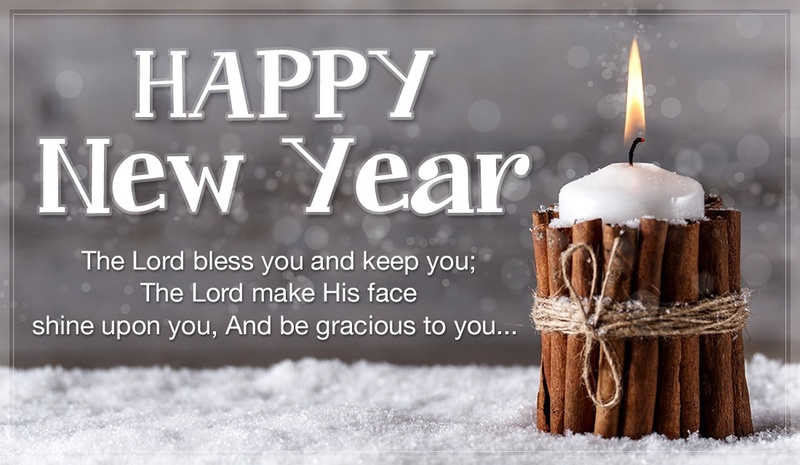 Blessing to you in 2017! I’m new to the blogging world–anyone mind checking out my site?? Excellent summer! I can say one unexpected thing from my 2016 was you coming to my blog, and introducing me to Caron and her running challenge. Without that, I wouldn’t be 260+ days into my walking challenge. So thank you!! We’re hoping to make the year – after that, who knows? It turns out, I really enjoy the walks. I had viewed them as a chore for a long time, but over these months they have become something I look forward to (so much so that I am willing to wake up 30-40 minutes early during the week to make sure I get them in!). Those longer days make a huge difference to me. I just really dislike walking in the dark. Our morning walk should be in daylight here in the next couple weeks (if we get a clear day, the first, pre-dawn light is visible over the horizon now). I’m tired of having to add reflective gear to our many layers! 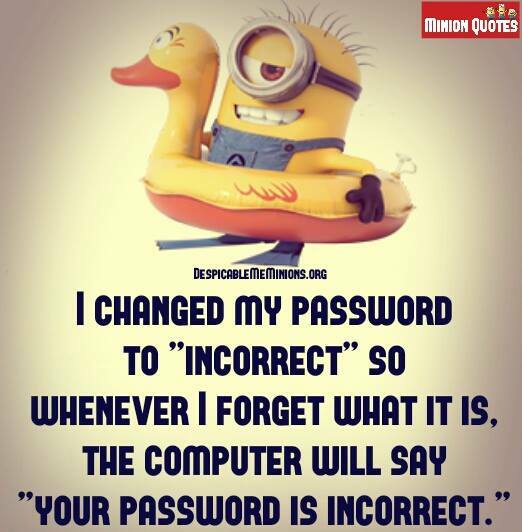 Oh what a cool post! Totally agree with point no.10 about people who come to read one’s blog. Also there were clearly some great things that went on last year for you. Love the car, the tablet and the reading TWO books ones. Would that I had the time! (Hope that last phrase scans for a Canadian!) – Also didn’t know you were a pastor. And I always enjoy the pics you take en route even if I’m not going to get my sneakers on and join in any time soon! You know what, it’s just good for when you’re too busy to run your eyes over the actual words – so listen to someone else doing it for you! So whilst I’m typing away I can have a book on the Mac in the background, or when driving…etc I would highly recommend it. 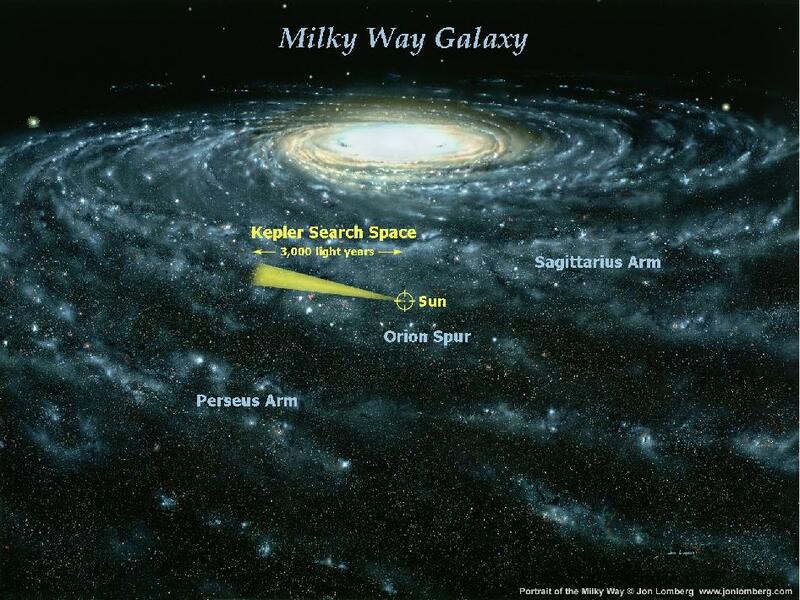 A great read as well as images.